Let’s face it, gardens cost money. We need seeds, tools, amendments, irrigation, and if we’re lucky, support staff. How are we supposed to pay for all this? First, there are many grants that will help you get started. We have published our own list of school garden grants which we update periodically. However grants don’t last very long and after the garden is built there is yearly maintenance to contend with. The answer is fundraising. The following are fundraising ideas specifically for your school garden. Give them a try. You can raise money and have some fun at the same time. 1. Plant Sale – For a successful plant sale you can look for donations or you can make your own. Cuttings from existing plants will be the least expensive route. Succulents are great for this. Culinary herbs are also a great idea. My favorite is the Simon & Garfunkel herb garden (parsley, sage, rosemary and thyme). Simply place them all into one container. You can also start from seeds, but just remember to give yourself enough time. Mother’s Day 2015 is May 10th, you will need to start your seeds at least 8 weeks prior. 2. 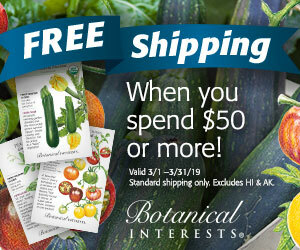 Seedling Sale – Start vegetable plants from seeds to sell to backyard gardeners. Again, you will need to start the seeds approximately 6-8 weeks prior to your sale day. 3. Dried Herb Bouquets – Collect garden herbs such as basil, oregano, sage, rosemary, thyme, mint, dill, etc and arrange into bouquets that you can dry by hanging upside down. 4. Seed Sale – Seed companies such as Botanical Interests, High Mowing Seeds, Fedco Seeds and Urban Farmer Seeds all have seed fundraising programs for you to take advantage of. You’ll make 40-50% of all sales. 6. Compost and Worm Castings – For those with compost and/or worm compost programs selling your finished product would be very beneficial to home gardeners. Compost is one of the best organic amendments available and worm castings is one of the best organic fertilizers. 7. Recipe Cookbook – Collect recipes from students, teachers and parents specifically for all the great produce you grow. 8. Seed Tape – Using strips of newspaper or paper towel and homemade glue (flour and water), we attach seeds to paper and when dry, we roll them up and put a bow on them. We can then plant the seed tape directly in the ground and our seeds will be perfectly spaced. This is particularly useful for small seeds like carrots and lettuce that need to be spaced a certain distance apart. 9. Garden Art – Paint garden signs, markers, decorative bricks, trellises, etc. 10. Farmer’s Market – With the proliferation of Farmer’s Market you now have an outlet for all of the above along with any produce or flowers you already grow. Use the following link from LocalHarvest.org to find a farmer’s market near you.